While waiting for a friend to have dinner the other night at South Coast Plaza, I stopped by Coach to pass time. As soon as I stepped into the store, I was immediately greeted by this silver sequin tote. OMG, it was so bright, I couldn't believe my eyes. Would you be attracted to this tote? Chanel made a sequin tote in black last season with a double CC logo and I thought that was over the top already but Coach really took the cake with this one. To be honest, I do like sequin accessories in general but this is not attractive to me. Maybe in black, I will be less critical. I would actually love to have a small sequin clutch but a tote this size (16 inch x 15 inch x 6 inch) is rather overwhelming. However, I was surprised the price was only $598 which was not bad at all considered the amount of work required in making this tote. *** The picture just does not do justice to the amount of bling this tote offers. Imagine the gold flats (see below) in silver instead and multiple the shiny effect by 50X due to the sheer volume of the tote. 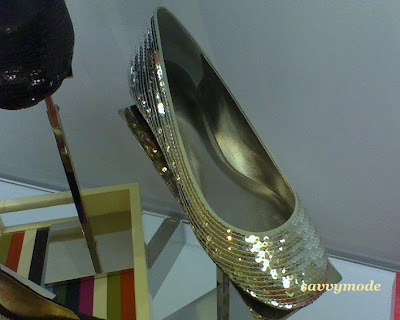 Alright, I maybe not be crazy about the silver sequin tote, I am slightly attracted to this pair of gold sequin flats. This pair of flats will make even the plainest outfit snazzy. 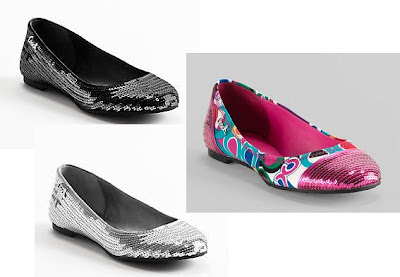 It is quite comfortable and retail for $148 for the sequin flats and $138 for ones with sequin tip and heel. What do you think of the tote and the flats? Do you like sequin? 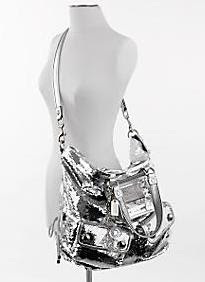 Whoa, that is a blingy bag. Too much for me, but badass! I would swoon for the pink shoes. They are perfection! i like the flats! the bag is def. too much for me but would totally wear the flats. i lovee the sequin shoes!! very stunning and hot rite now! I love the sequin tote. Fun! WoW!!! I love that bag and how you can carry it as a messenger. Check out my giveaway this week..it's fabulous. The flats look very cute. I think they look great. Hope you had a fab weekend. I really like the bag, its cute. I would prefer it in black though.. But its awesome! Not so keen on the shoes! so sparkling!!! love the pink sequin flats!! P.S New site is up!! This skirt is so amazing! it has the perfect lenght! It´s fun to shop with friends, for sure!